Last minute dinner ideas can save you from another night of pizza deliveries. 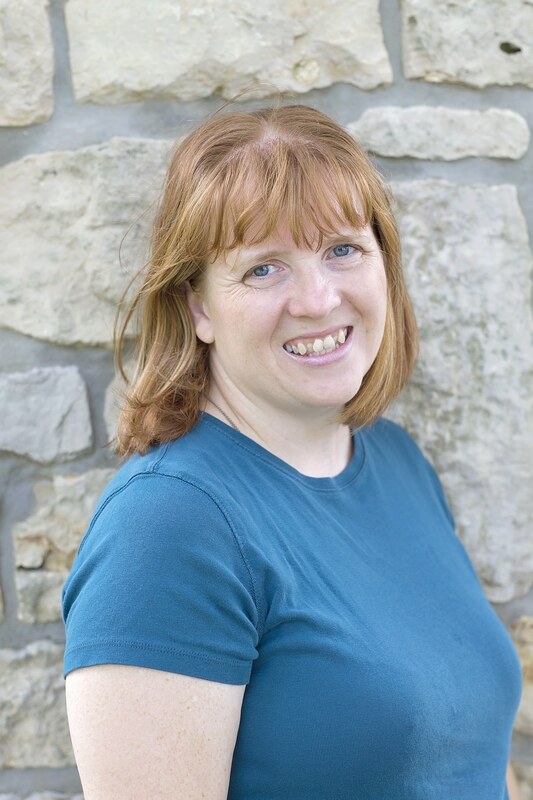 Get recipes that use ingredients you probably have on hand! That clock is a sneaky fellow. How often have you looked up to discover that it’s practically dinner time…and you have no plan at all? 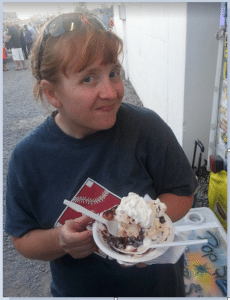 It happens even to the best meal planners! No family can survive on pizza delivery every night (especially when you’re trying to save money!). So keeping a list of last minute dinner ideas on hand is a great idea. When you’re too tired to create a recipe based on the ingredients in your pantry, don’t worry. It’s as simple as scrolling through this list of delicious recipes! These are recipes that you can make without worrying about marinading or firing up the slow cooker. Most of them are very forgiving. So if you don’t have the exact type of cheese or veggies they call for, use what you have on hand instead. 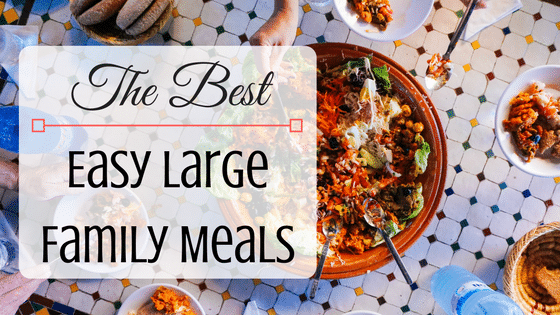 Also, be sure to check out these large family dinner ideas!! 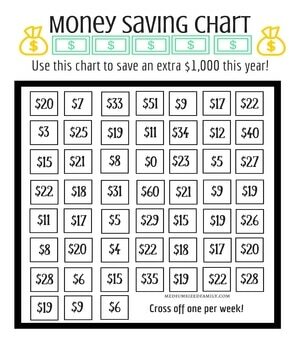 It’s cheap, it’s easy, and you can use it in so many ways! Here’s a pile of delicious chicken recipes. 1. Cheesy One Pot Chicken Lasagna You probably think I’m crazy for beginning a simple last minute meal list with lasagna of all things. But if you’ve got leftover chicken already cooked up in the fridge or freezer, this one’s a snap! 2. Easy Chicken Piccata Piccata sounds fancy, but the only unusual ingredient here is capers. 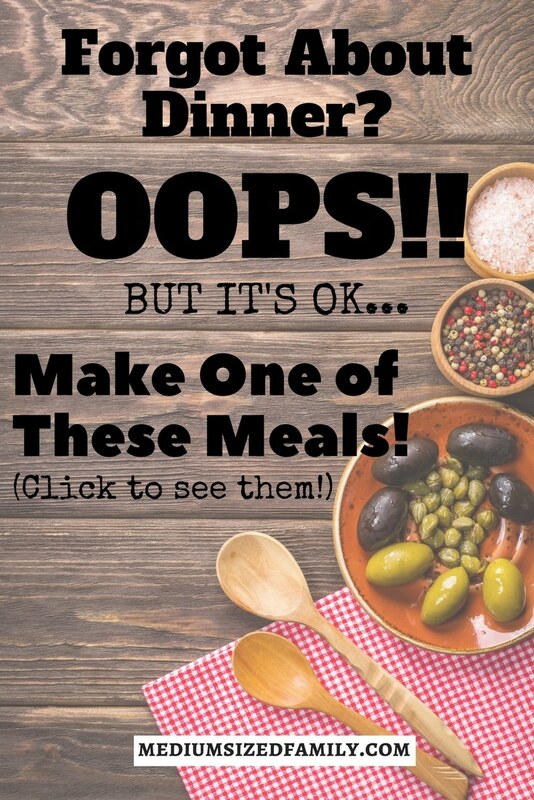 You can sub onions or skip it altogether and still have a delicious meal! 3. Teriyaki Chicken and Vegetables Simple, check. Versatile, check. Delicious, check! 4. 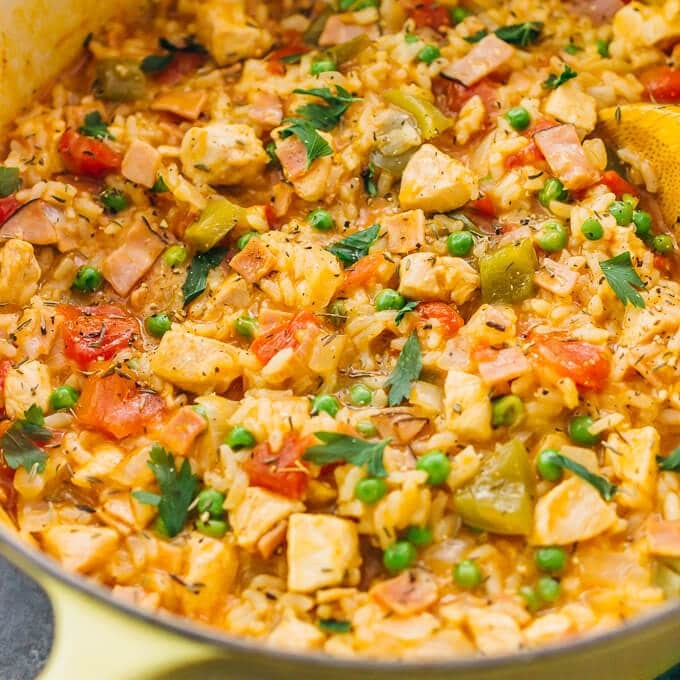 One Pot Chicken and Rice Dinner Talk about your comfort foods! 5. Chicken Bacon One Pot Meal The bacon is a topping, so you can skip it if you don’t love bacon (gasp!) or you just don’t have the patience for the mess right now. 7. 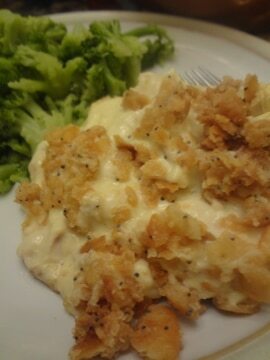 Chicken Cordon Bleu Casserole Got deli ham? Here’s a delicious way to jazz it up! 8. 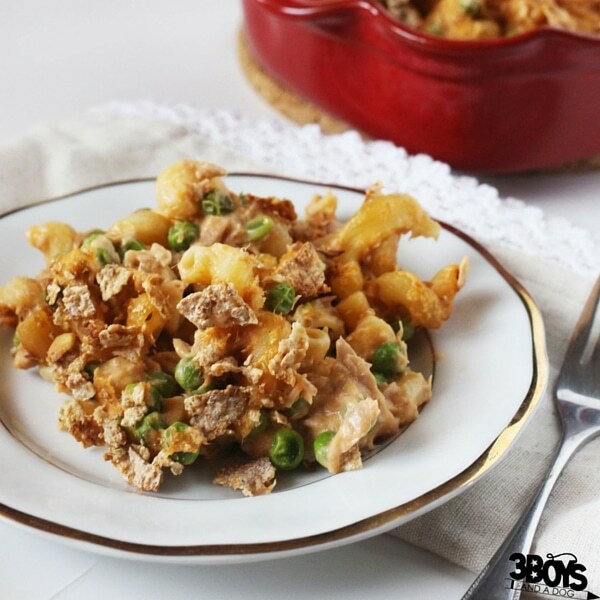 Easy Tetrazzini Casserole with Leftover Turkey or Chicken Another yummy way to use up leftover chicken. 9. Easy Weeknight Chicken and Salsa Taco lovers are sure to have these ingredients on hand! 10. Pan Seared Chicken Breast with Mustard Cream Sauce A few simple ingredients will jazz up those boring chicken breasts! 11. Chicken Green Bean Stir Fry Healthy ingredients, easy clean up! 12. Skillet Pot Pie Home cooking made super easy! 13. 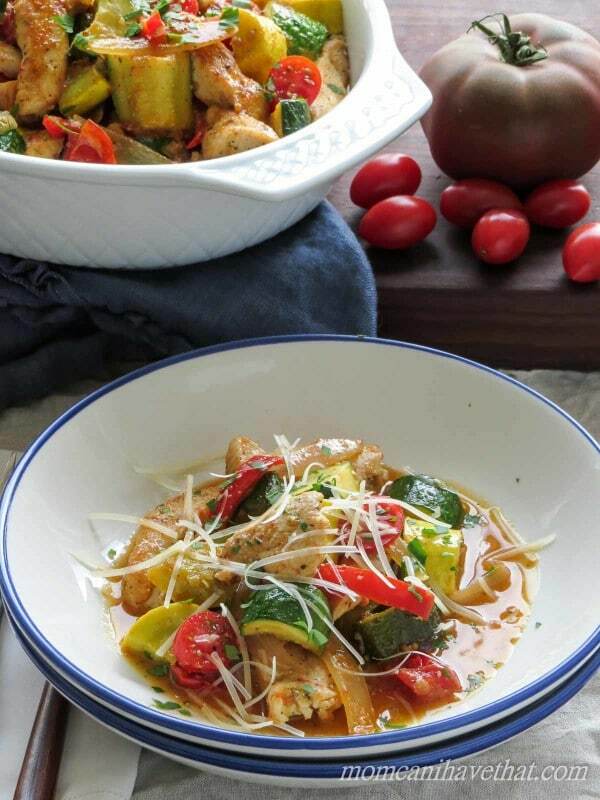 Chicken Summer Vegetable Saute A great light meal for a busy night. 14. Poppy Seed Chicken This is a fun “throwback meal” that you can make from your pantry. 15. Pretzel Crusted Chicken Love this idea for using pretzels on chicken!! 16. Chicken Spaghetti Casserole This one looks delicious, but be aware that it does need to cook for an hour! 18. 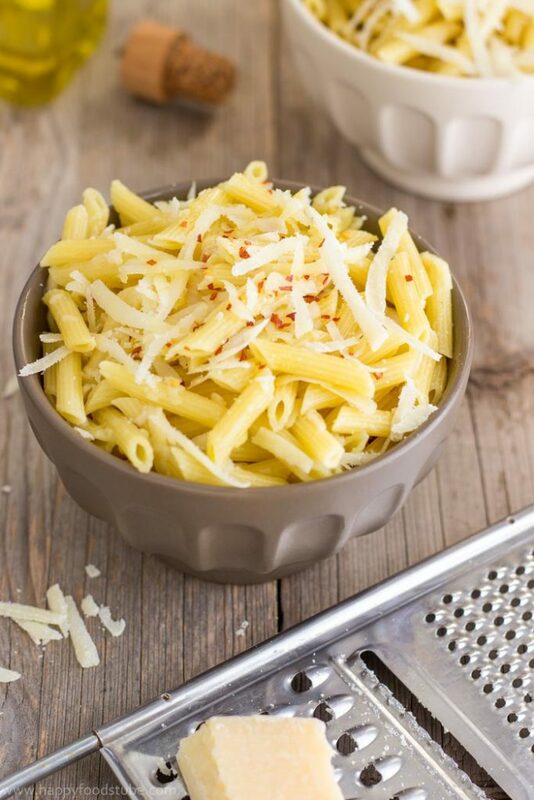 Simple Parmesan Chili Pasta What an easy meal that packs a big bang in the taste department! 20. Taco Salad Recipe With Doritos Taco salad with a twist the kids will love! 21. 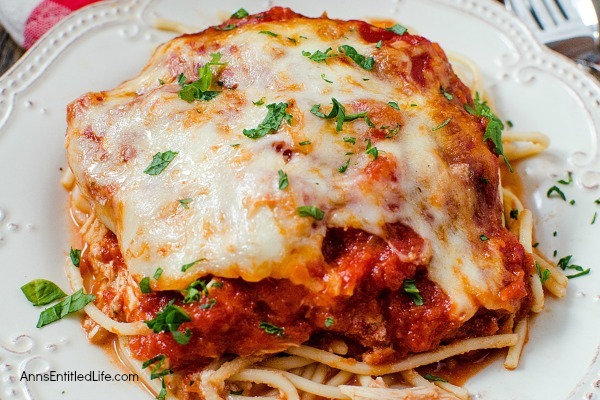 Enchilada Pasta The flavors of enchiladas without the extra fuss! 22. Sloppy Joe Casserole Just 5 ingredients!! 23. Hamburger Casserole Super simple with just a few ingredients, but you know it’s going to be good. 24. Kitchen Sink Shepherd’s Pie Why not use up those leftover mashed potatoes in some soul food? 25. 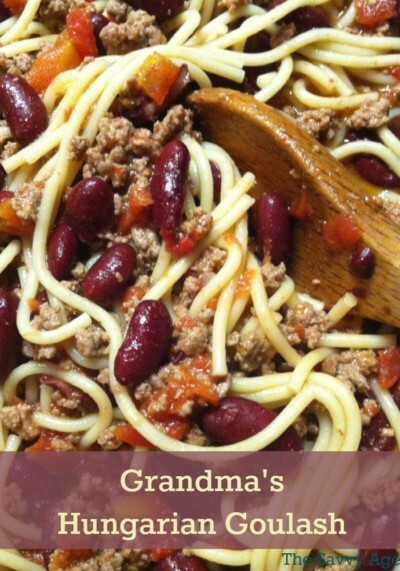 Grandma’s Hungarian Goulash Remember how you made enough spaghetti to feed an army? Make the leftovers into another scrumptious meal! 26. 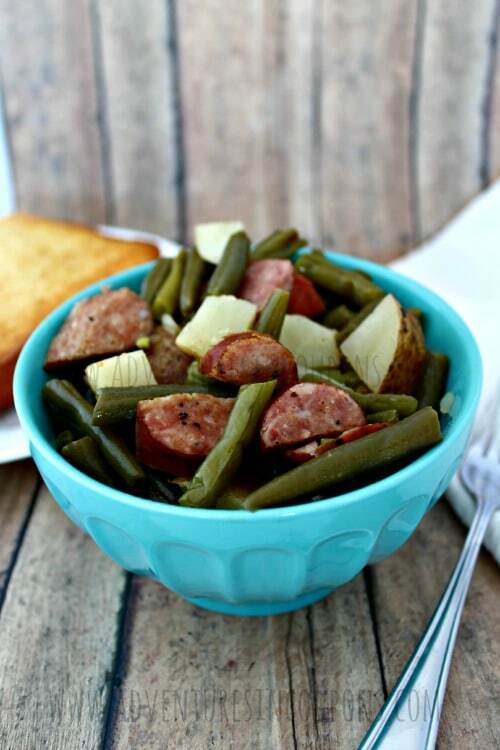 Sausage, Green Beans, and Potatoes No time for the slow cooker? Use canned green beans and cook it on the stovetop for about 20 minutes or until the potatoes are soft. 27. 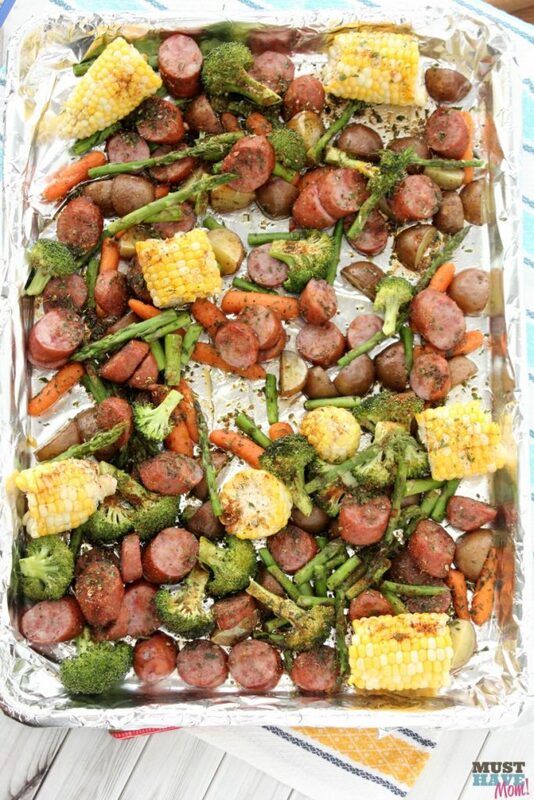 Easy Sausage and Veggie Sheet Pan Dinner I adore sheet pan dinners. So easy to fit in some extra food groups and add color to your meal! 28. 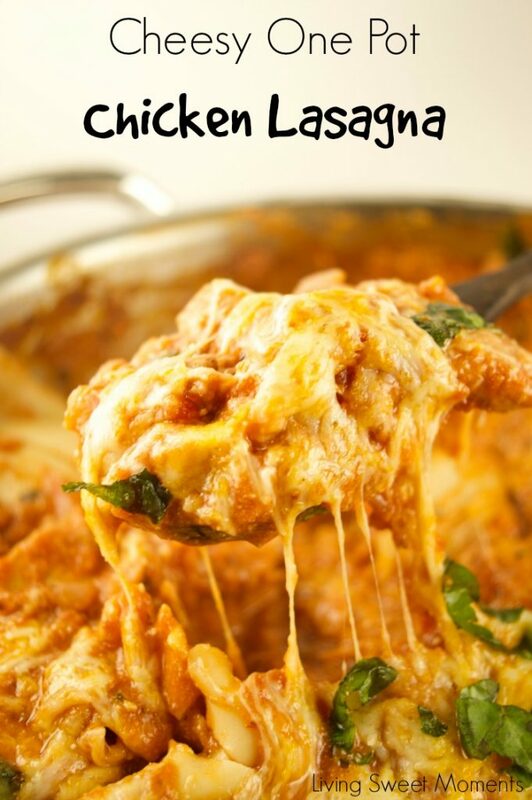 Easy, Cheesy 5 Ingredient Pizza Pasta Bake Waaay easier than homemade pizza! 30. 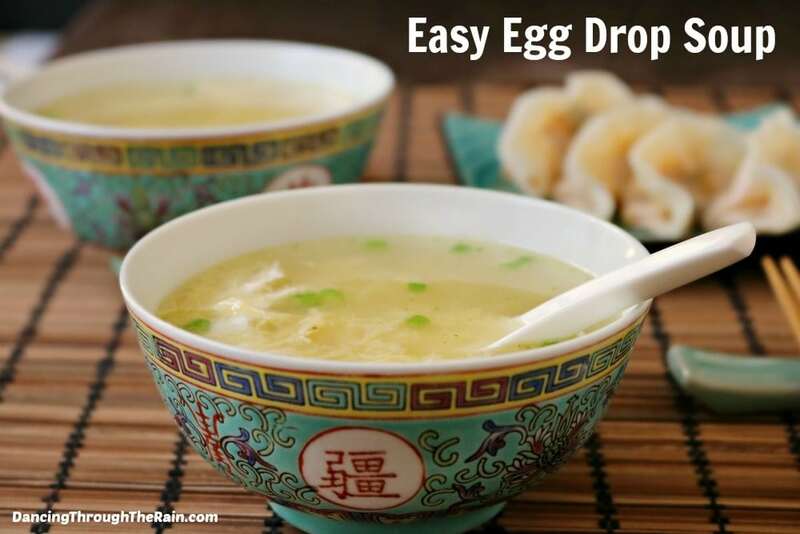 Easy Egg Drop Soup If you’ve got eggs, you can put this one together in a snap. 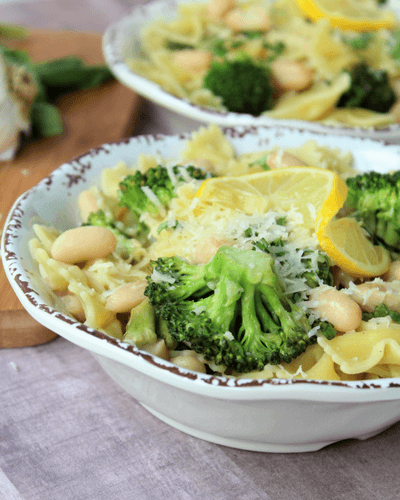 These last minute dinner ideas are simple but delicious! That ought to keep the drive thru and pizza deliveries at bay for another day! Want more dinner solutions? Check out these great recipes for a crowd. 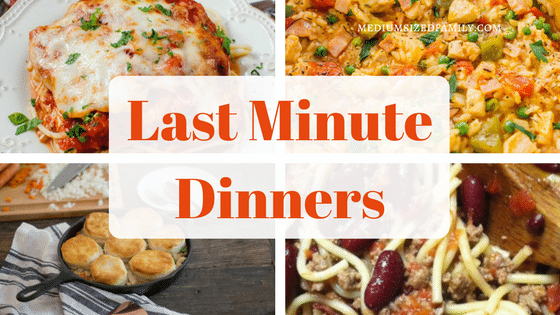 What’s your go to meal for a last minute dinner?